My name is Aly. I am 29 years old and SAHM to our IVF miracle, London. Welcome to my little slice of the interwebz. Now a little bit about us. After 2 years of infertility treatments (due to unexplained IF) we were finally able to get pregnant with London after our very first IVF cycle. He was born in February 2009 but I officially have the fever again, and I'm not talking about the "Beiber Fever". I want another baby! My husband was an Army Captain before getting out a few months ago. It has been quite the transition to the civilian life but we are slowly getting used to things on "the outside". The good news is that his new company offers infertility coverage including IVF. So we really lucked out in that department. We have decided to do IVF #2 in January but the wait is all but killing me. Feel free to look around and make yourself at home. 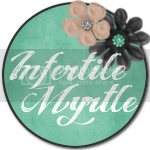 Here is our complete Infertility Journey starting back in 2006 if you would like to read all about it. I love comments so don't be shy! Prop up your feet become a follower and stay a while. Thanks for stopping by, I look forward to getting to know you (and your blog). Best of luck with IVF #2!! what a beautiful baby! congrats on #1 and good luck with #2.
p.s. 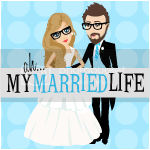 loved your post about being the default parent...although different from your situation, i'm married to a surgeon so i'm preparing myself for the single parent lifestyle!! i'm hoping DH can't resist our little one and scales back his hours....a girl can dream. Thanks for visiting my blog & good luck on your next IVF. I'll be following. London is a real cutie pie, he will be a heart breaker one day!!! You are very lucky to be a SAHM! Good Lucky with IVF Journey!! London is gorgeous and good luck with #2!! How wonderful that there is IVF coverage at the new company. ICLW. It's so wonderful that you have some fertility coverage!